I try to come up with man-friendly projects every once in a while. 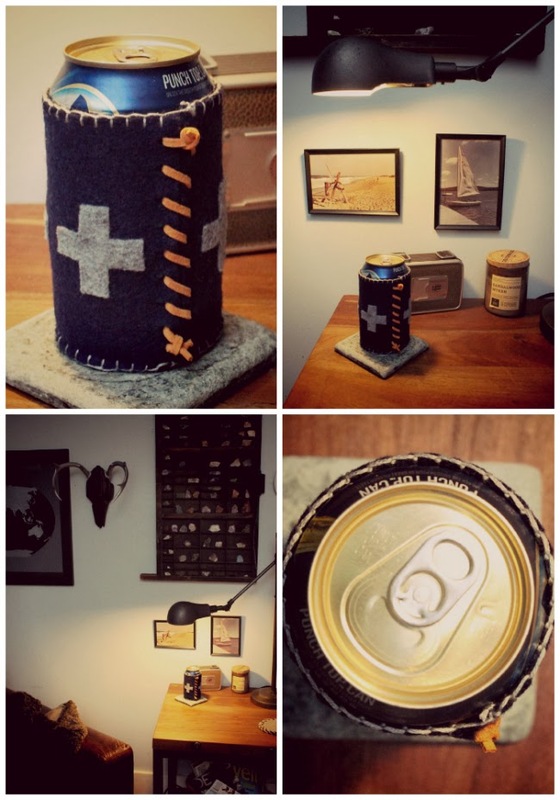 Crafty stuff usually tends to lean more towards the feminine side of things and it can be difficult sometimes to create something with a masculine feel that doesn't require power tools and making yourself stink like motor oil. 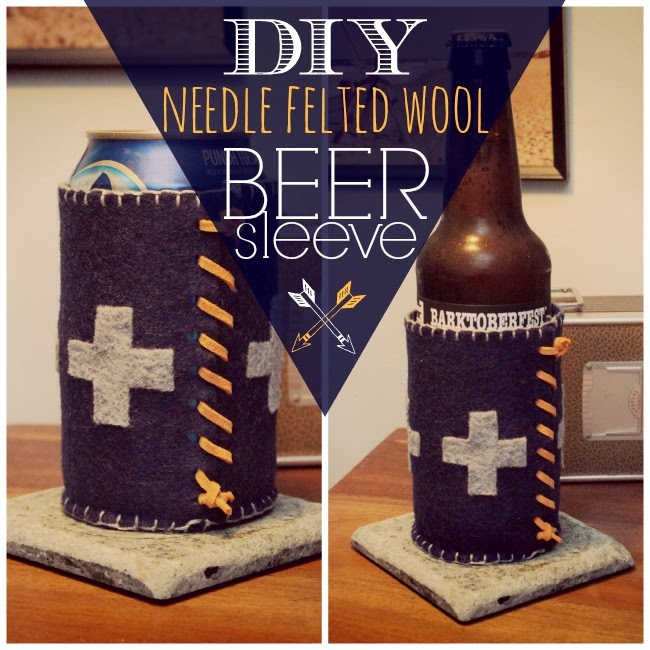 Fortunately, wool felt can accomplish quite a lot when it comes to manly things... and most of it revolves around libations of some sort! Check out my Flask Sleeve and my Coffee Sleeve from last year. 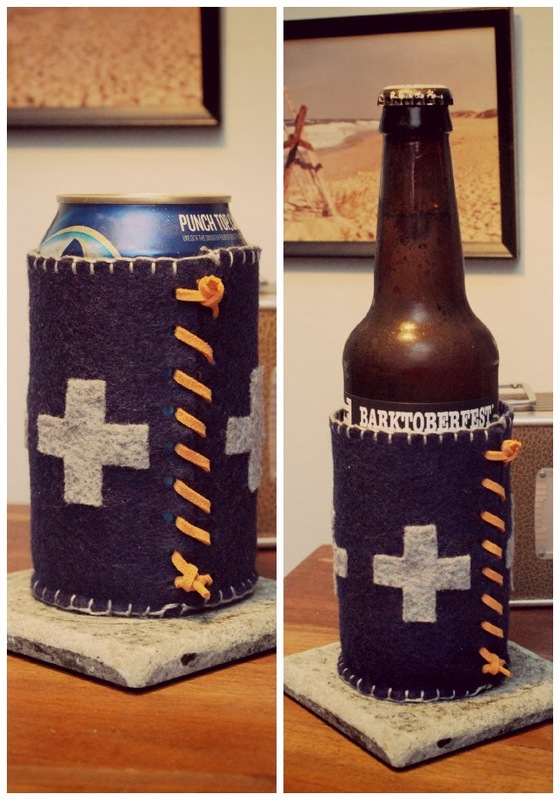 This year, I decided to make a Scandinavian feeling Beer Sleeve. The best part is that this thing fits both cans AND bottles! 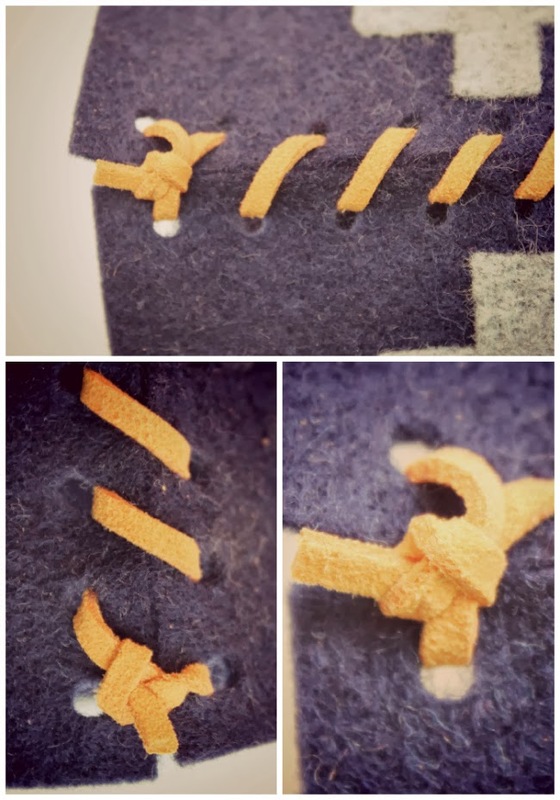 For this project I used Michael Levine's Classic Navy 100% Wool Felt. The fact that they offer 100% wool felt thrills me! I can tell you that our local fabric store only ever has a very tiny selection of wool/poly blend felt. 100% wool is so much easier to work with when needle felting! First, we need the measurements. 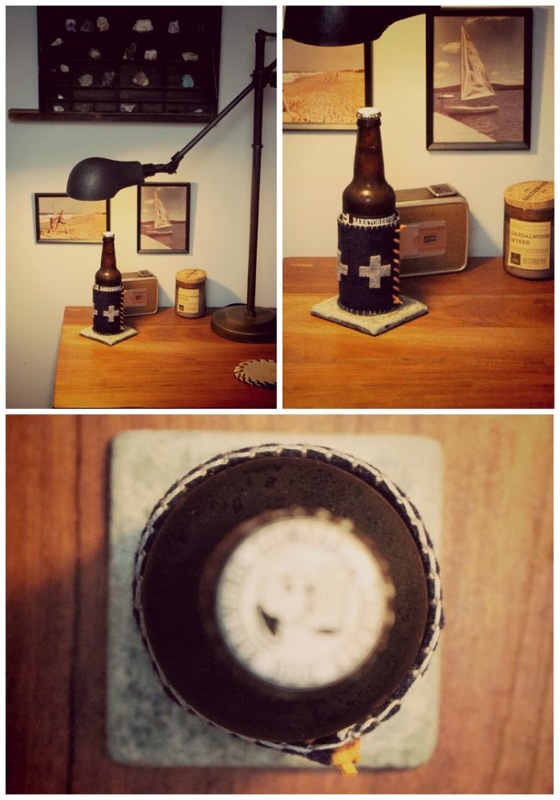 A standard beer can has a circumference of 8.25 inches, so that's how long you want your piece of felt to be. 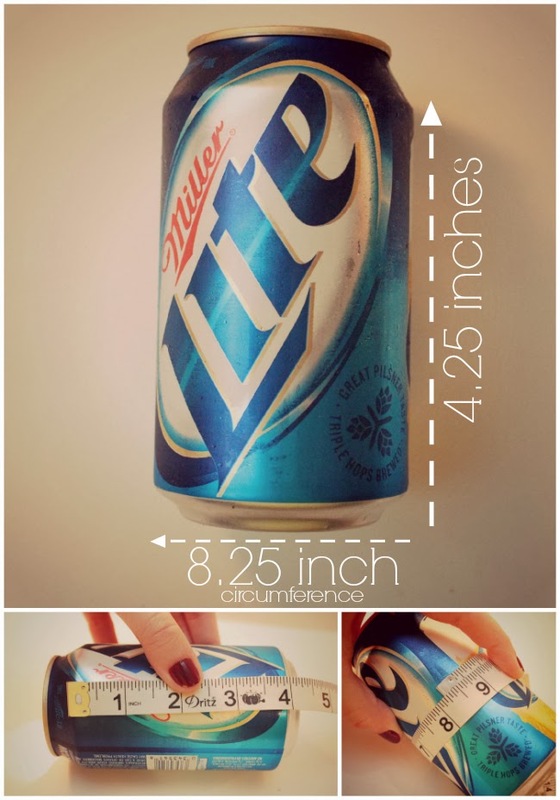 We are going to use the width of 4.25 inches so that our sleeve reaches just beneath the curve of the top of the can. You should have a rectangle of fabric 8.25"x4.25". Next, add some details! You can do whatever you'd like, but I chose simple plus signs - 1.5"x1.5". 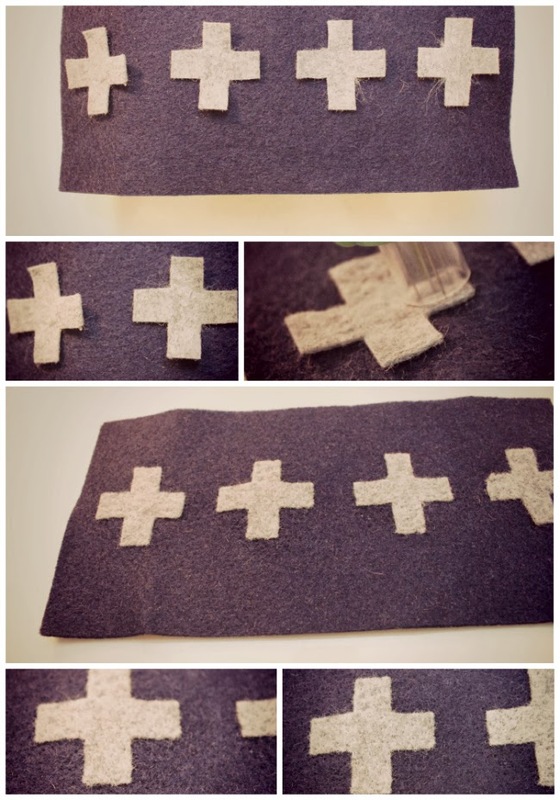 I used my needle felting tool to bond the fabric together. This also adds an extra layer of insulation right where a hand would typically hold the sleeve. Next, I used a tiny hole punch to put holes on both ends to lace the leather cord through. A simple knot at both ends will hold this together perfectly! Now for the next measurement: I used the measurement of 1 3/8in for the diameter of the bottom circle. That is a 2.75in circumference. 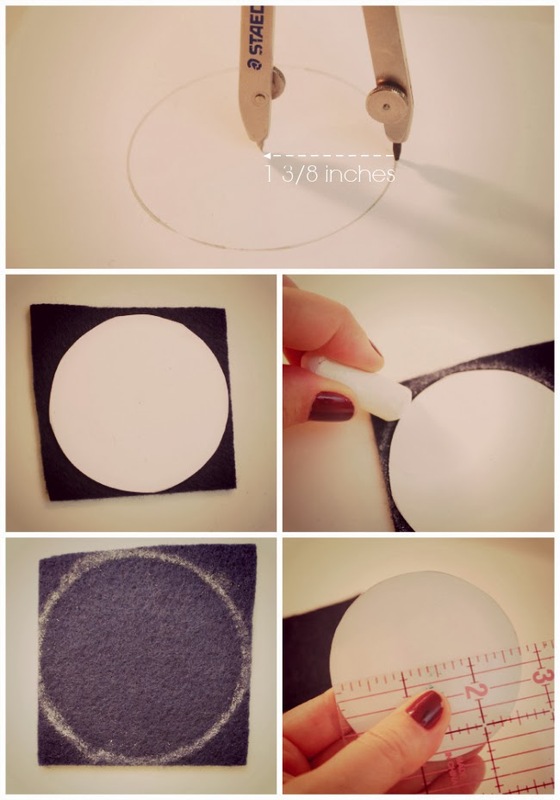 Use a compass to get a perfect circle on a piece of paper. 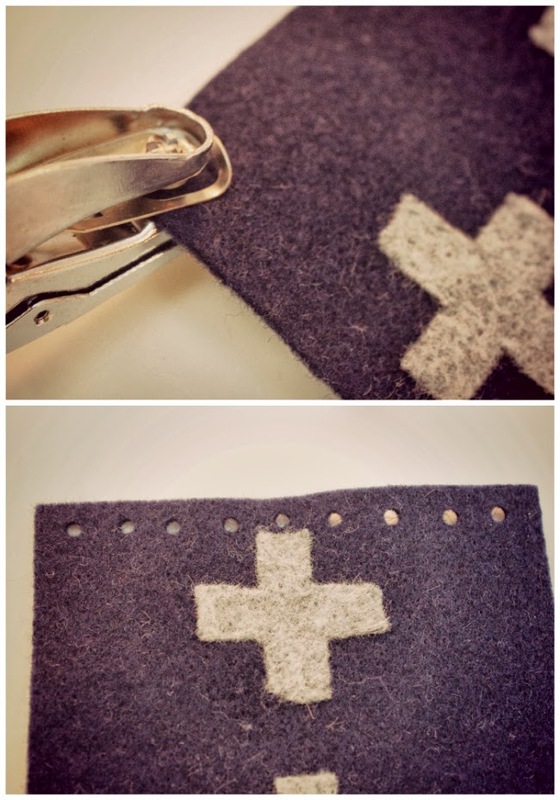 Cut that out and then outline it on the felt with chalk. Cut on the inside of the chalk line. I used some embroidery floss and blanket stitched the bottom to the sides. 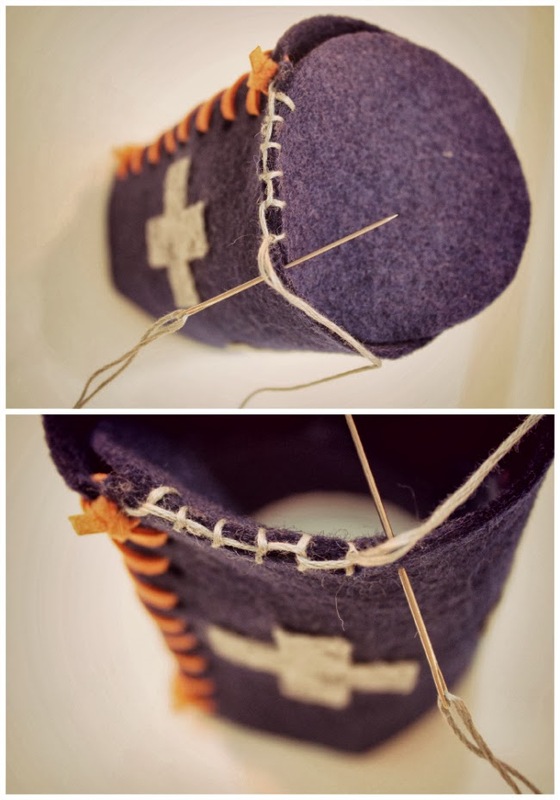 I also did a blanket stitch around the top to prevent a lot of stretching of the felt and give consistency to the overall aesthetic. I really think this will make an amazing gift for the guys in your life! 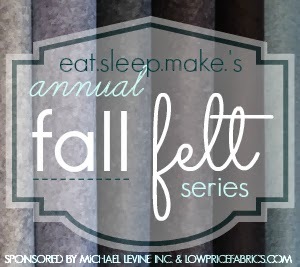 Thanks so much for joining us for day 2 of our Annual Fall Felt Series! This is our favorite series of the year because the possibilities with felt are endless. Don't forget to check out LowPriceFabrics.com and grab the discount code from our sidebar! Hey cool! Definitely handy too!